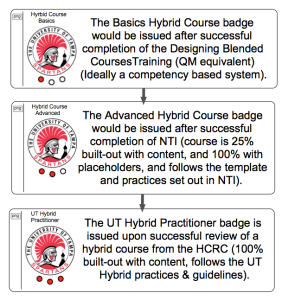 Proposed Open Badge System for Hybrid Process at UT – Fredrick W. Baker III, Ph.D. 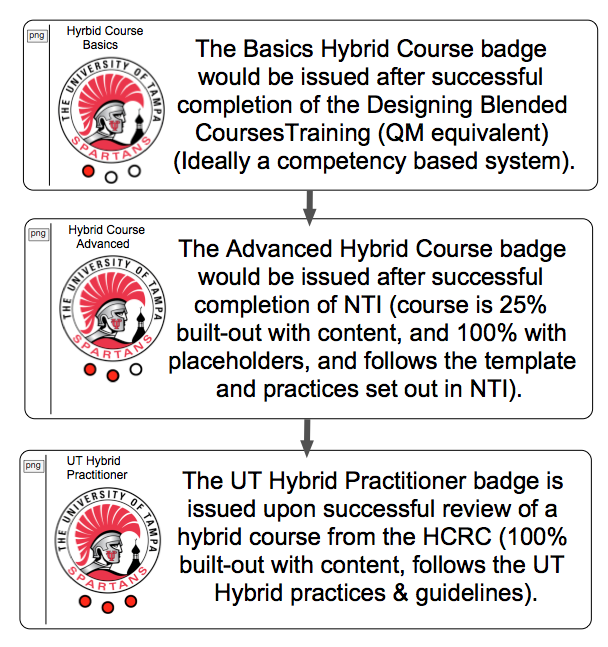 I proposed a possible open badge system for the hybrid course design process at UT. It overlays the current 3 stage system. The idea was to badge heavily as a way to build community among the faculty and to raise awareness of the hybrid process.